A press release I just sent my local media outlets. I’ve decided to live my life as one big, weird performance art piece. Local author Eric M. Esquivel is going to be featured on a “spotlight” panel at the Tucson Comic Con, Saturday, November 3rd, from 6pm-7pm! He landed his first paying writing gig in 2005, while still in high school, working as a “Teen Columnist” for The Tucson Citizen (just like Jimmy Olsen). One time a reader wrote in and demanded that he be deported (a lot less like Jimmy Olsen). Since then he has written for Fox News Latino, Bleeding Cool, and The Tucson Weekly. Eric’s comic book stories deal with themes of social inequality ,the nature of faith… and zombies and robots and stuff. Titles include: Girl Scouts in Space, Sequentially Tucson, Blackest Terror, Electric Youth, The Legend of Oz: Wicked West, Zombies vs. Cheerleaders, Vic Boone, Unite and Take Over II: Stories Inspired by The Songs of The Smiths and the New York Times Best-Selling Fubar: American History Z. Popular U.K. rapper “Akira The Don” named his most recent record “Unkillable Thunderchrist”, after Esquivel’s Thor: Unkillable Thunder Christ”. 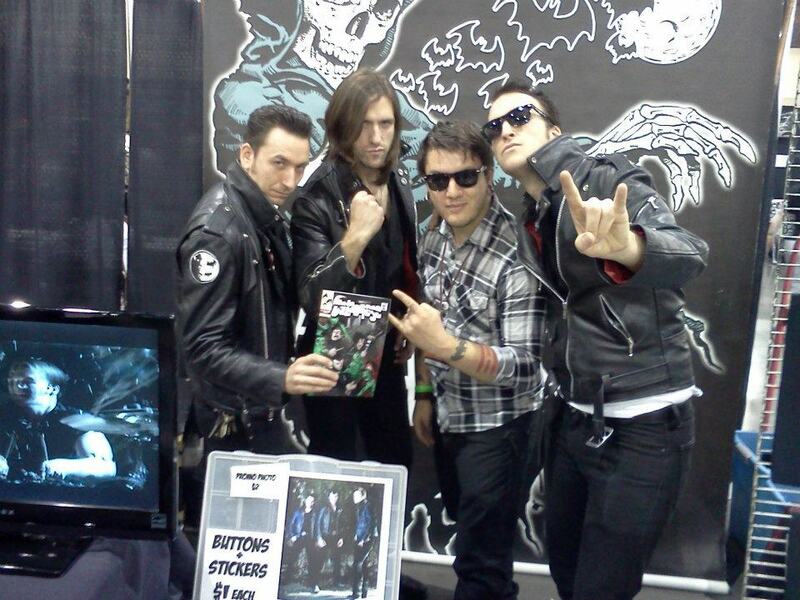 Spookshow Records, home of “The World’s Greatest Horror Rock Band”, Calabrese, hired Eric to write a comic book series based on the band. Some of the characters he created for that project appear in their new music video, “The Dead Don’t Rise”. This year will be Eric’s fifth consecutive Tucson Comic Con appearance. Esquivel’s panel is entitled “Esquiville”, and it’s going to be conducted in the fashion of a town hall meeting for a fictional town entitled–you guessed it–”Esquiville”. If you’d like more information about Eric M. Esquivel, his comic con panel “Esquiville” or to schedule an interview, please call Eric M. Esquivel at (520)-548-0045, or email Eric at ericMesquivel@gmail.com. This entry was posted in Uncategorized and tagged eric M. esquivel, Tucson Comic Con by ericmesquivel. Bookmark the permalink.